Over the years, Xi Safety has been able to provide fire safety services to camp operators as well as be involved in the construction of many. From Red Deer and Blackfalds, Alberta, to the Oil Sands, Terrace, BC, Conklin, Lac La Biche, we’ve been involved. From the initial construction phase we’ve provided Fire Safety Specialists right into the operations phase, including basic fire prevention and suppression training. Having had the opportunity to visit actual camp assembly factories, we’ve got a little more insight into them. 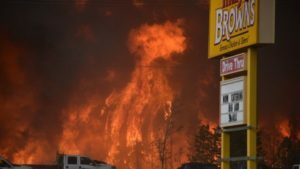 Even with the best planning, applicable fire code requirements and suppression equipment the Fort McMurray fire or “THE BEAST” as it has become known, would have taxed any facility. We’ve done some wild land fire prevention suppression assessments and there are additional resources available regarding oil sands plant protection, but we’ve got some ideas and insight into basic assessment, prevention, training and response. We are open to work with our Alberta and other area camp operators to provide additional services. Xi Safety presently have two HESS professionals working in the area and are still ok, safe and sound. 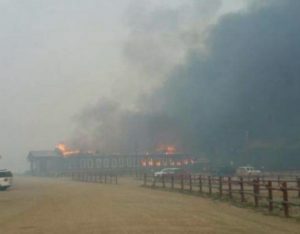 Tens of thousands of McMurrayites have been evacuated enmass and helped by all levels of government, private citizens, Non Government Offices, companies and industry, and its been simply an astounding effort on everyone who has been involved. It is hard to put into words. Fort McMurray is like a magnet to many Canadians and personnel from around the world who have either worked here at various times over their careers or who came, saw and fell in love with the community and the spirit of givin’ er for everything they do. Fort McMurray and its related industries has given much to many Canadians from Vancouver Island to Newfoundland that includes bringing in thousands of workers and then flying them right across the country to their homes and families on days off. Whether you’ve been a FIFO (fly in/fly out) worker or a business across the country supplying goods and services, this community and the industries have provided financial opportunities that have enriched tens of thousands of Canadians directly and more indirectly through income taxes and redistribution payments to other provinces. Everyone of Xi Safety’s Senior Management team have ties to the oil sands and the community as well. Whether its been project work that has drawn us north to work on the myriad of projects over the years, some of us even have a deeper history to the city. Its where I came in the 80s seeking an opportunity for myself and my family and Fort McMurray did not disappoint me. From working at the Great Canadian Oil Sands (GCOS) and living for many years in the community, all of us at Xi Safety extend our hearts and pocketbooks to all of you who have lost much or all. Fort McMurray has been home to me, my wife, and my three sons. Its where the boys first learned to ride a bike up on Ross Haven Drive, where they attended their first schools, where our Church was down in Waterways and where the boys first started to play hockey within the Fort McMurray Minor Hockey Association, where I first stated coaching minor hockey and where we became a part of a community made up of other people from somewhere else. Its a city that gave me and my family an economic stimulus that helped us buy our first house down on Hill Drive in Fort McMurray, where we truly had an international community of kids from everywhere. The neighborhood boys from Lebanon, Newfoundland, Ontario, Africa, Maritimes and other countries who eagerly joined in the drive way hockey games that raged all throughout the neighborhood. Xi Safety Inc has provided a list of goods and services we can make available to the Regional Municipality of Wood Buffalo’s recovery and rebuild program. We hope to be a part of it. Fort McMurray has experienced setbacks before, the great fire at Suncor in the early 80s, the labor strike of 86 and the resulting low prices of oil of $6.00US per barrel of oil. They came back from the Great Extraction Fire of 87 at Suncor, and always better and stronger and more resolved to be even better than before. The Great Fort McMurray Wildfire of 2016 has brought Xi Safety Inc and the City back together again. Even though we’ve been gone from the area for a few years as a family, it still has the home feeling to it. If you are in the pipeline industry, you’ve come to the right place. The Xi Safety Team will be out in full force attending events and networking with all you industry professionals at sessions and official functions. Xi Safety TM Inc attended at the last International Pipeline Expo as an exhibitor in September 2014 and met some great people. We hope to see all of you again at the Expo. Held in partnership with the world renowned International Pipeline Conference, the biennial International Pipeline Exposition brings together thousands of leading professionals to explore a showcase of over 250 of the industry’s most recognized brands and the latest pipeline technologies, products and services. Looking for live demos and a hands-on experience? Global Petroleum Show has it all. Seeking new technologies to unlock business potential? You can find it here. Also, not to be missed, are the new featured zones, pavilions and the expansive outdoor display of field equipment. 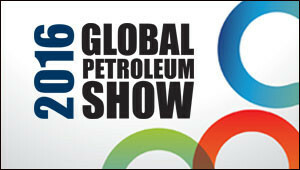 Global Petroleum Show continues to redefine the event experience making it a leader in the midst of a changing industry. In 2016, leading oil & gas companies, business partners, media and industry analysts from over 84 countries will converge on Stampede Park in Calgary, Alberta. Global Petroleum Show will welcome C-level executives, engineers, industry experts and more from all walks of the energy industry. Xi Safety will be at the Global Petroleum Show!!! C Ya There!!!! Nobody ever thinks a disaster can happen to them. It was only a few summers ago that we had the Big Calgary Flood and the SNOWTEMBER storm dump about a meter of snow on us Calgarians September 2014. We all tend to see disasters as something that happens in other parts of the world such as earthquakes, hurricanes, tornados and even wars. But how may of us are truly prepared? The old Boy Scout Motto of “Be Prepared” comes to mind. I can recall the big Y2K mania that occurred up to when midnight struck at the turn of 1999 when all sorts of calamities were supposed to befall mankind. Even ourselves got caught up in the all the excitement and put in a supply of food and water. Midnight struck and nothing! But we had lots of extra grub and supplies for the season of camping that year. Seriously, you should be able to take care of yourself and your family for 72 hours with an emergency kit, stored in a waterproof container and wheeled, preferably. You might have to stay in our home without electricity, heat or water, or you might even have to evacuate your home. Items such as food that doesn’t require cooking and wont spoil comes to mind such as granola and protein bars, nuts, dried fruit and canned fish are all good sources of protein and carbs. You will need at least 2 liters of water per day per person as well. Equipment such as a manual can opener, flashlight and radio (battery or wind up), candles, lighter, waterproof matches, plastic sheeting, pens, paper, duct tape, whistle or some means to attract attention. You’ll need to ensure some means to wash, have a first aid kit, toilet paper, bleach, feminine supplies. There might also be special needs such as infants, elderly, people with disabilities, prescriptions, pet items and others. You should also have a list of emergency contacts (names and numbers), some extra cash in small bills, copies of important items such as passports, insurance documents, birth certificates and possibly medical plan cards. The good folks over at Calgary Emergency Management Agency CEMA http://www.calgary.ca/CSPS/cema/Pages/home.aspx?redirect=/cema have some free info for every Calgarian. Drop in and tell ’em Xi sent you. 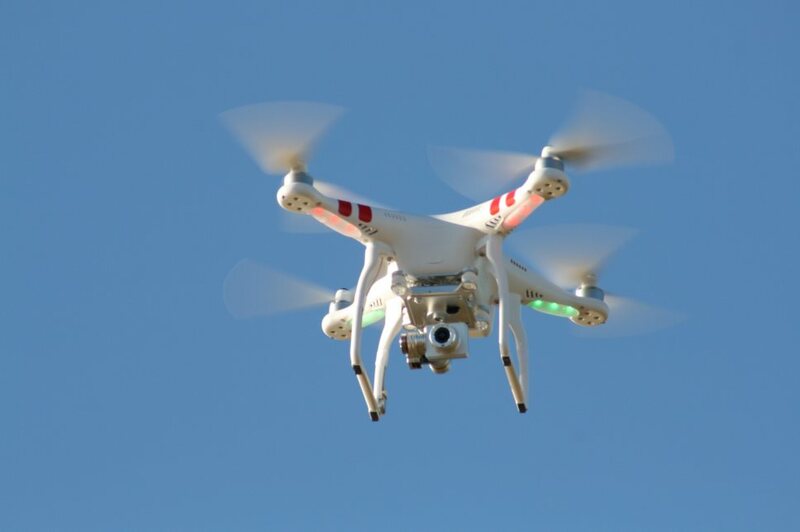 So you’re a tech savvy safety advisor, environmental inspector or even a pipeline inspector and you went and jumped on the latest craze taking North America by storm “Drones” or as the regulating body in Canada likes to refer to them as Unmanned Aerial vehicles (UAV’s). While spending time at the local soccer field honing your skills as a drone pilot a lightbulb comes on and you think to yourself I can make some money with this thing. Sweet I’ll have it out on my next project and I’ll be a rock star with the best daily reports and photos the construction manager has ever seen. NOT so fast there Mr. Eager B. Beaver. 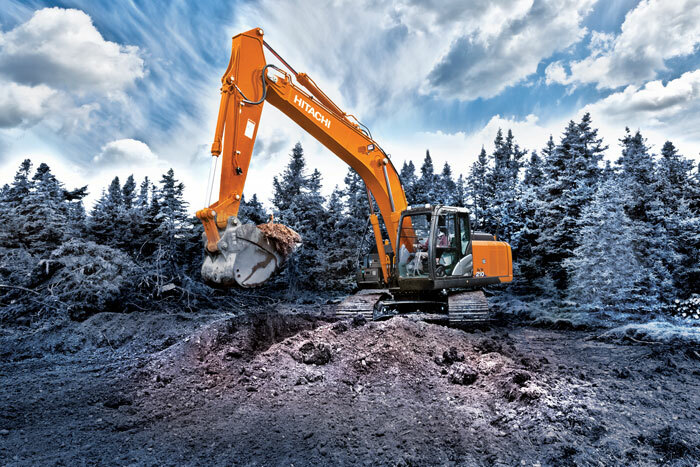 There are laws in Canada that regulate what we can and can’t do with our high-tech tool. 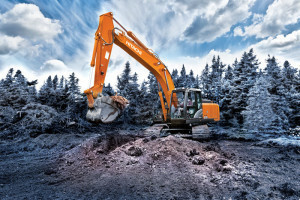 Yes, I call it a tool because that’s what it is a tool to manage risk, in this case it minimizes exposure to workplace hazards like steep slopes, hazardous environments, working on or near water, and driving to list a few. Drones also have the ability to provide real time data to work progress and issues arising out on a spread kilometer’s ahead of you. To the extent that if you are within cellular phone coverage you can save real time photos or video footage to your mobile device and send it back to the construction office for immediate response saving time and money on tight schedule driven projects. So, I’ve been flying my drone’s right out of the box for the last two years, I’ve had several models and learned some tough costly lessons along the way. I am currently flying a Phantom 3 Professional. Loaded to the max right out of the box it’s enough to make a gear guy cry. It includes a 4K Video / 12 Megapixel Photo Camera, 3-Axis Stabilization Gimbal, Easy to Fly, Intelligent Flight System, Live HD View, Dedicated Remote Controller, Powerful Mobile App w/ Auto Video Editor, Vision Positioning for Indoor Flight. Never mind all the aftermarket things you can buy thru Amazon or other aftermarket sites. So I’m not a professional Drone pilot, I’ve learned to fly mine just like everyone else out there. As I got more into flying mine and seeing how it could be used not just for fun but could also have huge impacts in my work environment as well, I started asking questions and depending on whom I asked I got a million and one different answers. I was finally pointed in the right direction late last year and the great team at Transport Canada has help our immensely. Below is an overview of some of the questions I get asked and by no means does it capture everything, but it will get you pointed in the right direction. Students also receive instruction for an Industry Canada Restricted Radio Operators License (Air). Upon the successful completion of the radio exam, students will then receive a radio license, which allows them to operate and monitor aviation frequencies. CCUVS and Canadian Unmanned have successfully trained over 800 students and offer this course both in house and on location as required. It is recognized by Transport Canada and seen as most beneficial when indicated on a SFOC application. 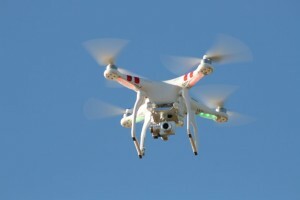 What makes a UAV a model aircraft in the eyes of Transport Canada (TC)? – Owned by a company not an individual. My model plane/copter has a camera on it and I’ve started making money selling the photos/videos, is this allowed? As described by TC as soon as you make money or become contracted to use you model aircraft it no-longer qualifies as a model aircraft. Your model aircraft is now a UAV and requires a Special Flight Operations Certificate (SFOC) to fly. I’m using my UAV for profit or the success of my business depends on photos/video I take, what do I need to know? You need a Special Flight Operations Certificate (SFOC) every time your UAV is in Canadian Airspace, Yes even testing and development outdoors requires an SFOC. Don’t panic obtaining an SFOC is common place in Canada, and as of May 17th 2012 it’s free. This is because the law strictly prohibits UAVs without these certificates. How do I get an SFOC? A: The procedure for obtaining an SFOC is listed here. The most important in preparing your SFOC application is that you prove to Transport Canada that you will not be putting the public in danger nor will you be disrupting air traffic. What does it cost to applying for an SFOC? For UAVs there is NO COST involved in applying for and obtaining an SFOC. Do I need to get a different SFOC for every day that I fly? No! As it was explained by Transport Canada you can apply for to get an SFOC that indicates a range of dates and times. How big of an area can I apply for in my SFOC? Can you give us some of the examples SFOC applications provided by TC? – Between May 18th to September 28th 2012, Every Tuesday between 9am and 9pm. – Alternative date for flight will be the Tuesday between 4pm and 7pm. – Alternative date for flight will be the next Wednesday between 8am and 6pm. – A note from the local RM indicating they have no objection to the flights. – A description of his craft. – A note from the farmer indicating that there will be no people or equipment on his field during any of the operational times (Security). – An aerial/satellite photo for the area of operations. – On this photo/map he will indicate takeoff and landing zones. Remember to note any obstacles between the takeoff and landing zones. – On this photo/map he will indicate the boundaries of where he will be operating. – He will then indicate the projected flight path will photos will be taken. This isn’t all of the points outlined http://www.tc.gc.ca/eng/civilaviation/regserv/cars/part6-standards-623d2-2450.htm#623d2_65_d . Note that all these points need to be completed and submitted. Each SFOC is individually reviewed. It was mentioned that TC will work with you, within reason, if your application is missing certain points. They may also request a demonstration of you and/or your crafts abilities. I plan to take photos & video of my niece’s sports games for the league to use for future promotional material, what do I need to know? Transport Canada advised that a 100 foot horizontal buffer between a crowd and itself. I’m using my craft for recreational use. What kind of restrictions are in place for non-commercial, recreational crafts? 602.45 No person shall fly a model aircraft or a kite or launch a model rocket or a rocket of a type used in a fireworks display into cloud or in a manner that is or is likely to be hazardous to aviation safety. Well, for starters, we don’t want to hear about it here! Section 602.41 as a designated provision, has an individual penalty in the amount of $5,000.00 and a corporation penalty of $25,000.00. Okay, I’m obeying all the rules. Are there any other guidelines for safe and responsible “Model Aircraft” operations? Yes. In the USA the RCAPA (the RC aerial photography association) has some excellent guidelines that will help out immensely as a starting point. HERE IS A BULLETIN ABOUT THE CHANGES THAT HAVE OCCURED TO THE WHMIS PROGRAM AS IT IS RENAMED GHS. For those of us presently in the business of planning, implementing, directing or performing ground disturbance activities, please have a look at the 2nd Draft of the Underground Infrastructure Safety Enhancement Act for your general knowledge. Xi Safety is pleased to announce we have delivered a trusted On Site Safety Representative (OSR) to a contractor on the Pacific Trails Pipeline Project, a joint venture between Chevron Canada Ltd. and Apache Canada Ltd.
Pacific Trail Pipeline Projecct: Summit Lake to Kitimat. 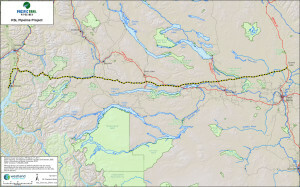 Apache Canada Ltd. and Chevron Canada Ltd. have signed a broad agreement to build and operate the Pacific Trail Pipeline and Kitimat LNG project. 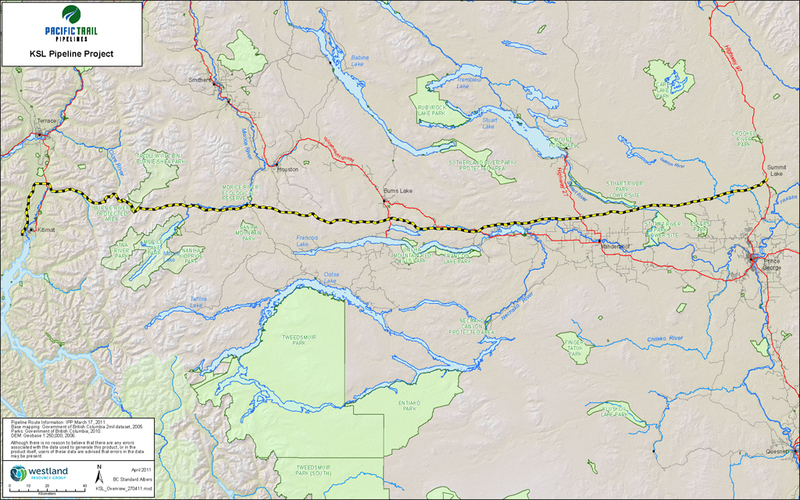 Once the agreement is in place, Chevron Canada, managing operator, and Apache Canada each will become a 50 per cent owner of the Pacific Trail Pipelines Limited Partnership (PTP LP).